Learn the secrets of running infrastructure effectively in the cloud. With insights from open source projects such as Kubernetes and companies who have pioneered the patterns needed to be successful. For far too long companies have been creating infrastructure in the cloud only to build themselves into a corner. Building traditional infrastructure in the cloud is more expensive and less performant. It can be more easily provisioned, but that only means you’ll spend your budget faster and not reach your business or technical goals. 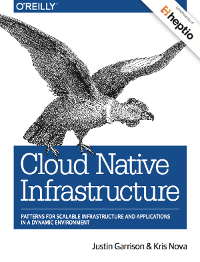 This book will teach you when you should architect your systems to take advantage of the benefits of the cloud. It will give examples of pitfalls to avoid and show you the patterns to embrace to be successful. Running cloud native infrastructure requires different skills and has many benefits over traditional data centers. 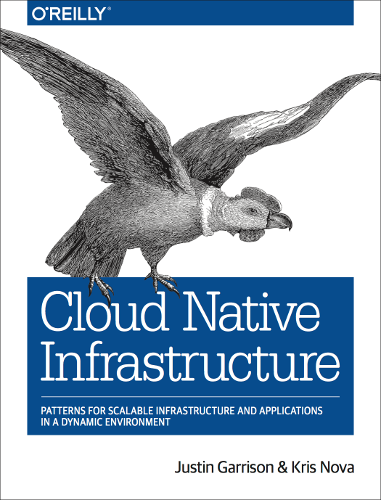 Readers will learn what future patterns to look for to stay ahead of the curve, and how to run the best infrastructure for cloud native applications. Free eBook sponsored by Heptio! Kris Nova lives and breathes open source. She is transgender and is transparent about all things in her life. She believes in advocating for the best interest of the software and keeping the design process open and honest. She is a backend infrastructure engineer, with roots in Linux and C. She has a deep technical background in the Go programming language and has authored many successful tools in Go. She is a Kubernetes maintainer and the creator of kubicorn, a successful Kubernetes infrastructure management tool. She organizes a special interest group in Kubernetes and is a leader in the community. Kris understands the grievances with running cloud native infrastructure via a distributed cloud native application.